The SLAB is a door only or sidelight only. No frames, jambs or parts added to make door operate. Door Size: Measure width and height of door only. Sidelight size: Measure width and height of sidelight only. * NOTE: You can cut doors up to 1 inch. Width - Start at end of door or sidelight and run tape measure across to other end of door or sidelight. Height - Measure top to bottom of DOOR ONLY. Add 1" to unit height and unit width for frame construction; add 2" to unit height and unit width for block construction. If you would like a printer-friendly version of this page in order to measure your door size and write down the measurements, please click here. 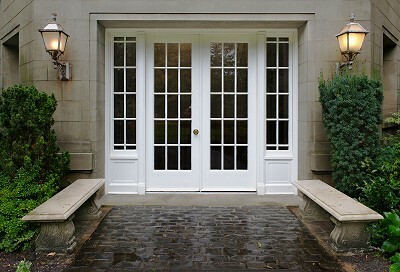 Click here to find residential or commercial doors.